For the love of Organizing and a Fun Summer! Ok, so it’s time to get everything organized again! I am a fairly organized person but its definitely a never ending battle (and love) for me. 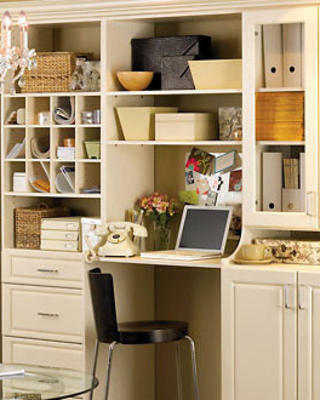 I loooooove to organize just about anything and I am always organizing around my house but I am not the best at keeping things tidy in those organized areas. I tend to throw things here and there when I get in a hurry and that leads to more organizing. Which now that I think about it….that may be the very reason I don’t keep it tidy…so I can organize it again! I have decided to take it room by room and slowly get it just how I want it. I am gonna work out a schedule and get down to business and then do my very best to keep it that way. I want this to be a smooth, fun summer with loads of memories that don’t involve cleaning. I want to cherish these sweet moments that I have with my babies while they are still so young and wide-eyed, seeing and learning things for the first time. 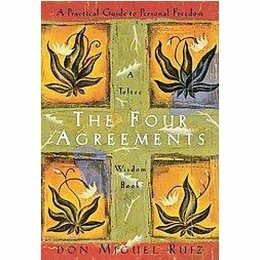 Years ago I read a book called The Four Agreements by Don Miguel Ruiz. One of the four agreements that he says you should make with yourself is “be impeccable with your word.” I have been thinking about such things a lot lately. I consider myself to be a busy woman with a lot on my plate. I tend to get overwhelmed sometimes and have been trying to figure out how to keep things a bit more steady, simple. I started noticing things I would think or say out loud. Things like, “I am soooooo tired”, “everything is such a mess”, ” I will never get things together” and the list goes on and on and on. When I think these things lately, they are followed up by, “you’re not tired, your friends mother who is battling cancer is tired”, and “that wonderful woman who died and left her two children and husband would give anything to have one more day with whiny kids and a messy house.” And then I think of the wonderful mothers in my life who have lost babies and how they would give anything to have them all here with them making their life absolute chaos right now. I know that is probably very depressing to read but that’s what I have been thinking! These women are teaching me on a daily basis what hardship is and hardship is not something I know about when you get serious about it all. So I guess what I’m saying is I’m trying to be more impeccable with my words and thoughts. Am I reeeaaallllly that tired?? Maybe. But is it worth complaining about? Probably not. Am I an incredibly blessed woman? Absolutely. Because of these women I will be a better woman, wife and mother. So the holidays are here and I am feeling a major urge to purge! I can just feel all of the fabulous toys, books, clothes, etc. coming our way. I envision it all sitting on my kitchen table and counter tops for days on end while I walk in circles feeling desperate for organization. In my panic ridden state, I am trying to calm myself by getting rid of excess clutter and get things organized before the avalanche of Christmas cheer comes our way! Don’t get me wrong, I LOVE it all! I am one of the culprits myself but I MUST be prepared! Being prepared seems to always be my goal but I tend to fall short just near the finish line every time. I will reach my goal this Christmas! I think I can! I think I can!! 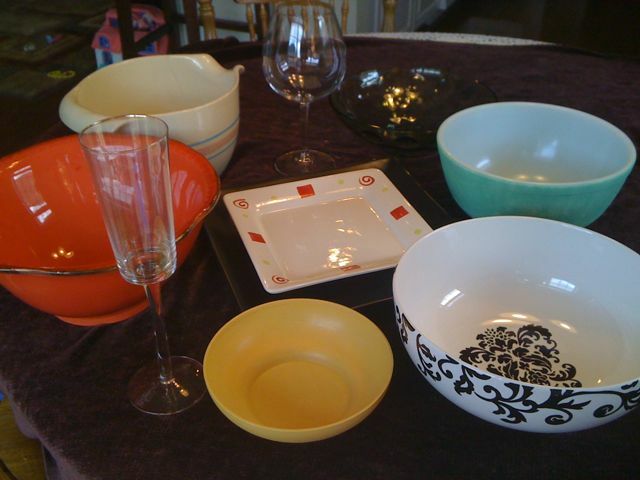 My plan is to go through our house and sell anything I can find that we don’t need or use. 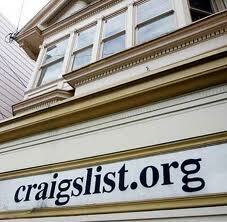 I hear you can sell pretty much anything on Craigslist so I’m gonna test it out. I am starting with our old Christmas tree. It is a mammoth to say the least! It no longer fits in our living room due to all of our stuff! It is 11 years old, we paid $139.99 for it and I am putting it up for $40. As I type that I feel the sudden urge to lower my price to $20! We all value our own stuff much more than someone else, right? I did not post a picture because its old and the box is so ugly that no one in their right mind would buy it if they saw it! Anyway, what do I have to lose? I hope to make a few extra bucks so I can make some extra room to put more toys. 😉 I will be reporting my progress or massive failure so stay tuned! I was just at Wal-Mart running through trying to get groceries with 2 babies. I do it at least once a week and it is never easy but it usually goes well. Today I had a buggy full and Dj got choked a bit (nothing serious) and it caused him to vomit and vomit and vomit! It was EVERYWHERE! Poor guy started crying and was completely soaked. I cleaned him up the best I could and headed to the check-out. Not all of my groceries had been bought but the trip was definitely over at that point. I was carrying DJ on my shoulder, Bree in the front, and loads of groceries in the back. I made it to the front to check out and a Wal-Mart employee met me at the registers, took my buggy and found me an empty line. She proceeded to put all of my groceries on the belt and then loaded the bags back in for me, not letting me lift a finger. She said for me to just take care of my sweet babies. Her name was Rita. While she took care of me and my babies, she talked to Bree so sweetly. Bree instantly warmed up to her and was smiling. She told me she remembered what it was like to have little ones. She said hers were grown already. I asked her how many children she had and she said “one daughter, well really two…I lost my son when he was 17 hours old”. The expression on her face changed immediately. It had to be at least 30 years ago when Rita lost her son but the pain was obviously still so fresh. I told her I was sorry and that I couldn’t imagine how painful that would be. She said, “you don’t ever want to imagine”. She put the last bag in my buggy and walked around to see DJ’s face over my shoulder and told me what a beautiful boy I had. I thanked and hugged her. I cried all the way home thinking about how she was so giving to me and my babies and how much she had helped me. Helping me with the groceries was huge but she made me count my blessings and hold onto my babies a little tighter. I was thinking of what her young face must have looked like all those years ago and what a beautiful woman she was both inside and out. Rita may be much older than me but the only thing that mattered to her is that we are both mothers, one girl and one boy. She could have passed judgements as many of us do (me included) about many things I’m sure. But I was a kindred spirit to her and I felt it. I wanna be more open to other women, mothers especially. Motherhood is the most wonderful thing I believe any woman can experience but at times we all need a helping hand. Women seem to be so hard on one another. Ghandi said, “Be the change you want to see in the world”. I wanna be like Rita. I’m back and running towards a goal!! Well, its been a while but here I am! Our sweet boy DJ is now 8 weeks old and its time for momma to take care of momma again! I have realized how important it is for me to be not only healthy but strong so that I can take the very best care of my babies and feel good for myself. I am the kinda woman that likes to have a plan (just ask Donnie). So I needed a plan and a goal to work towards. Yes, I can do push ups and lift weights but I need more of a vision than that to get to where I want to go. So I called Wendy (my fab sister) yesterday and told her I needed a plan and of course I wanted her to join me. We didn’t want to diet because that’s not our style, we want health and strength. We decided to stick to healthy foods (but still not deprive ourselves of something we really want), drink 8 glasses of water a day, exercise 3 days a week for 30 minutes and then keep a daily conversation going about our progress. Last night I started exercising and decided to put Bree in the marathon stroller and hit the road. I ran/walked a couple of times around the block. I felt great afterwards! 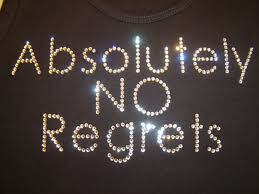 I started thinking about running in a race in a couple of months but then put it out of my head. One hour later, I was watching tv and someone was training for and ran a 5k race. hmmmm…. THEN, there was a scroll on the bottom of the screen telling you to go online to learn how to train for a 5k race! SOOOOO…. October 9th, 2010, I will be running in the Susan G Komen Race for the Cure! I am so excited! I told Donnie I was gonna do something and would need his support. He immediately said “anything, I don’t care what it is.” What a great guy I have! I called my sister and she is gonna join me. I then called my dad who is a runner from way back and he is in as well! This is gonna be fun and I am excited about having a goal to work towards that helps me get stronger and healthier. I have been reading a wonderful book by Elizabeth Gilbert lately. She spent four months of her life devoted to experiencing pleasure. Not only did she set out to experience real pleasure in her life but she chose to do so in Italy. She is my kind of lady! Who knows pleasure more than the Italians? She writes that the Italians realize that they live in such a corrupt world that the only thing that one should trust is their very own senses. It seems that this is why the Italians are so devoted to perfecting those special things in life, such as cooking, eating, sharing time with loved ones and so on. When you eat a perfect meal or experience a perfect kiss, you know and feel true pleasure, there is no mystery or question, it just is. I was inspired by these thoughts. I want more pleasure in my life and plan to make that happen for myself, but more importantly I don’t want to let those perfect, pleasurable moments pass me by that I already experience everyday. Waking up next to my soul mate, seeing my baby girls sleepy face and crazy hair when she wakes up every morning, an afternoon nap, Bree’s laughter, Donnie’s humor (and beautiful dimples), a warm shower, a good book, the moment Donnie gets home from work, a perfect latte, a song that makes me dance, chocolate, laying down at night next to Donnie…these are just a handful of things that bring me true pleasure that I get to experience every day. I really am living la dolce vita.